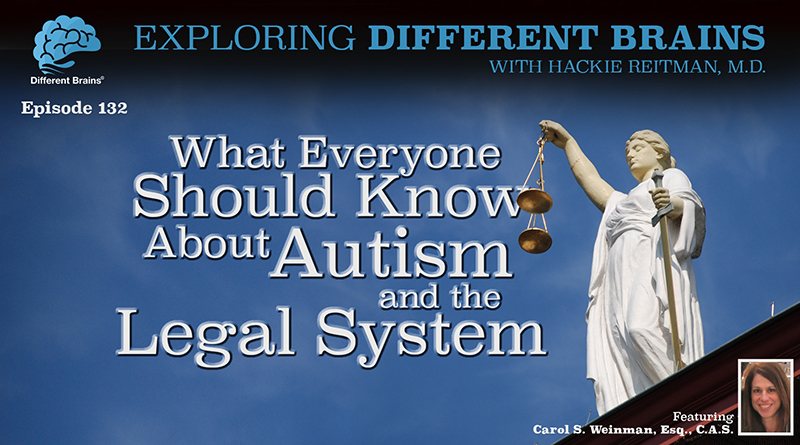 (14 mins) In this episode, Dr. Hackie Reitman continues his conversation with criminal defense attorney and autism expert Carol S. Weinman, Esq., C.A.S.. Carol is a former Prosecutor and has been a criminal defense attorney and family lawyer for over 25 years. She focuses her law practice on special education and specializes in advocating for the interests of those with autism. Ms. Weinman is recognized as an autism expert and legal consultant, author, mediator, trainer and nationwide speaker on autism. She is passionately committed to educating others worldwide about understanding the autistic brain and behavior, and how autism plays a role in the commission of criminal offenses and inappropriate behavior. 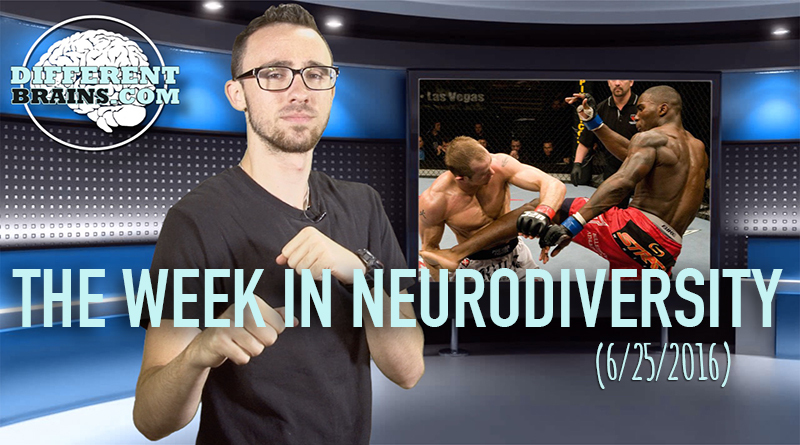 Carol discusses understanding perspectives in fighting for the “underdog”, neurodiversity in the prison system, and the importance of spreading awareness of autism. HR: Is it uniform throughout the country there are mental health courts? Or that’s just geographical in nature? CW: Well, there are mental health courts. I can’t say there are mental health courts in every state. I can’t speak to that, because I don’t know that. That can vary. However, to qualify, I do not see, I do not perceive individuals on the autism spectrum as going through the mental health courts. That’s where the distinction is, and that’s where some of the issues are that we need to visit and change. HR: Would it be to the benefit of you and your clients to be seen in a mental health court? CW: Well, the best way I can answer that is that the way that the mental health courts are set up now, I would have to say no, because they are structured for people with mental illness. That is very different, and for this reason. 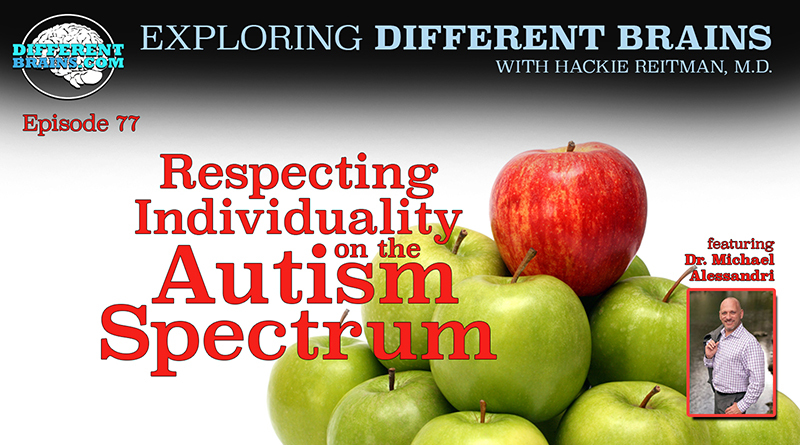 First of all, what makes population so challenging is that we call it a spectrum, autism spectrum, because people fall anywhere within that spectrum. Different from someone with bipolar disorders, for example, or schizophrenia, which may be a little more exact in terms of how it’s treated, in terms of symptoms. People in the autism spectrum, there’s a saying that’s quoted by Dr. Stephen Shore: “If you’ve met one person with autism, you’ve met one person with autism.” That’s what makes this so challenging, from my perspective, too, because I have to educate the judge and the courts and the attorneys that this individual has to be looked at uniquely. I have a very holistic approach that I take with clients. I have to look at the entire picture. I have to look at the whole person because there are so many things that play into the behavior of this particular person, and more so to how this particular person’s brain works. There are certain characteristics that are often more of a common denominator along people in the autism spectrum, but that’s where it stops. There really is a variability, and that’s why it’s considered a spectrum, and that’s what is going to make this area very challenging, and why I think it’s so to have people like myself out there advocating directly for them, so that I can address that particular issue on a particular set of facts and on a particular case. CW: Is what being offered in law school? I’m sorry. HR: An educational pathway like in orthopedic surgery. I’m an orthopedic surgeon, so after I do my 6 year residency in orthopedics, if I want to specialize in, say, spine surgery, I can go somewhere and study just spines for a couple of years. If someone wanted to do just what you’re doing, is there an educational pathway or is there a fellowship, or they would just have to follow you around? I mean, how does it work when you’re one-of-a-kind? CW: I think it’s analogous to any pioneer in any field. When Albert Einstein started, it sounds funny, but I have learned from doing this is that I’m a pioneer. I’m in a field that is brand-new. Truthfully, it found me. What happened is people kept knocking on my door until I got the indication that this is what I need to be doing because there’s such a need for it. There is no one, there is no education for this. I guess the best way for me to explain it is that the reason it is such a specialty niche and what makes me unique is that you can have psychologists, for example, Hackie, be expert witnesses, which is often the way in the past it has been done, so you’ll get a psychologist who may test for autism and know autism to a degree, but first of all, autism’s relatively new. So they don’t totally even, they may be able to diagnose it, doesn’t mean that they intimately understand it. What I think makes me different is that first of all, I raised a child with autism and I don’t think there’s any better education than that. Secondly, I understand the criminal system inside-out. What makes me different from somebody from another discipline with expertise is that I really understand how it works and how to talk to lawyers because I know the behind-the-scenes stuff that takes place in the courtroom. I know the ins and outs of a criminal case, so it’s become a very interesting, unique niche. I’m not saying that somebody may never be able to do what I do, but I think it’s a very difficult, intangible thing to do to really teach somebody. I hope to do that more, but I think it’s challenging to teach someone to have the depth of knowledge that I, right now, have in both the areas of criminal law and in autism. I don’t profess to be a doctor. I don’t diagnose. What I do is I take the evaluations that are done of these individuals and I look at the picture and then I look at the criminal offense, and I’m able to tie the two together to explain what happened. HR: Carol for our audience, how can they get in touch with you? HR: Carol, is there anything that we haven’t covered here that you’d like to cover? HR: Carol Weinman, it’s been a pleasure speaking with you. 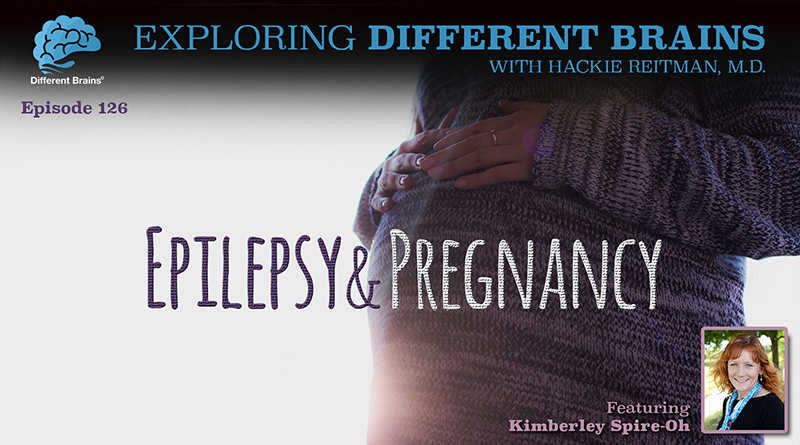 Thank you so much again for coming back and being a guest on Exploring Different Brains. CW: My pleasure, Hackie. I’m really committed to this work and to the work that you do and to raising the awareness on this issue.